Kwan-yin hair cape, liu mei narrow eyes, slightly closed eyes, facial expression calm wisdom, as if looking down at sentient beings. 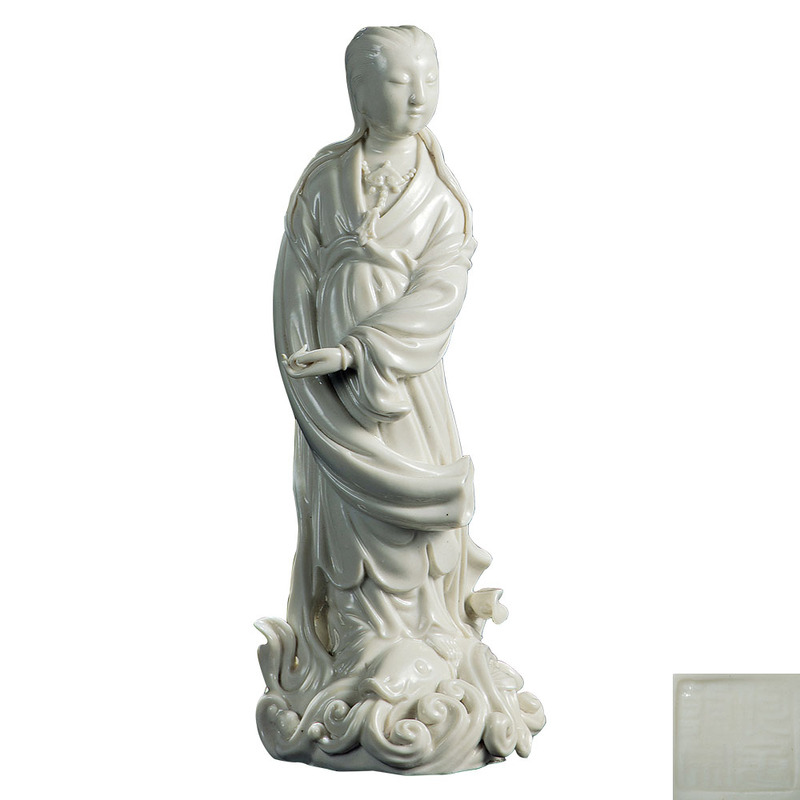 The porcelain is made of a clear and embellish porcelain, with a white body, vivid shape and graceful bearing. The original box book "jianyao carp on the audio-visual".